"Thank you so much Cindy for the wonderful Mellow Mommy session. We enjoyed every second of it and were so grateful for everything you did. It was such a special day for us. Both Talia & I think it was the best massages we've ever received. We will definitely keep in touch." "Cindy, Thank you so much for all the time you spent with us during our special Babymoon. Now that we are home, we keep reflecting on how wonderful of an experience we shared...and our trip wouldn't have been the same without you! Thank you, Thank you, Thank you!" "Hi Cindy! We've been thinking about you! Here is our little girl, Charlie, sporting her Mellow Munchkin shirt today. She loves it! We have your postcard on our fridge. You're so on point with staying present! Very, very important!" "Thank you Cindy. We had such a wonderful time. This is our little Cecilia Illiniza." "My husband and I are expecting our first baby on May 8th and we wanted to take a weeknd trip for a quick get away. After a little research on my husband’s part, we found Mellow Mommy. The entire experience was WONDERFUL! We booked a private session, but she also does group sessions. Once we flew into San Francisco, we took a wonderful scenic drive to Timber Cove, CA (recommended by Cindy). We drove through several wineries, then through red wood trees and quaint villages, and finally along the coast to the hotel. Once we got to Timber Cove Inn, Cindy was there waiting. She had already checked us in. When we got to the room, it was set up with the fire place on, a basket of goodies (best bread I’ve ever had) and a place to do the relaxation seminar. During the short seminar, she taught me and my husband how to relax through breathing. Then she showed us some massage techniques for each other. It was great! She also gave us a book to reference to with pictures of the massages. The next day we were free to explore. She also gave me a prenatal massage. This was wonderful and much needed after doing some walking along the beautiful coastline all morning. The three day weekend is one that I will always remember. It was a time for my husband and I to reconnect and take time to enjoy our first pregnancy together. I would recommend this vacation to any couple who is having a baby. Cindy is knowledgeable and she related to us so well. We can’t wait to visit Timber Cove again!!!" "Scott and I took a quick get-away mostly for my birthday, which is today, but also for one last trip just the two of us before life changes forever. We stayed in a beautiful hotel called the Timber Cove Inn right on the bluffs overlooking the ocean. A little while after arriving and getting settled into our room we heard a knock on the door, it was Cindy with Mellow Mommy. She was here to give us our massages, and I couldn’t be more excited and happy to see her. Scott let me go first and let me just say, Cindy was amazing! Between listening to the waves crash and her rubbing out all of my tension and stress, it was definitely what I needed. For any expecting couple looking for a get-away before your baby comes, I highly recommend taking a Mellow Mommy Babymoon! It was just what Scott and I needed, we were able to relax and just enjoy each other, because I’m sure once our little Evan is born life is going to become a bit crazy and fun but we won’t have many opportunities to just get out of town just the two of us"". "THANK YOU Cindy!!!! THE MOST PERFECT BABYMOON!!! Ben and I had the most amazing weekend, you made it really really special for us. We appreciate all of the advice and little things you did for us. You are so awesome! I can’t thank you enough, we really enjoyed our time together and you totally helped us to relax and enjoy it even more. The lodge was perfect and ahhh the massage was amazing, the best I’ve ever had! The snacks, the relaxation session, all of it. Everything was perfect! So glad we found you Cindy!! I will definitely keep in touch :) Take care & thanks again!!!!!! " "Cindy, It was great meeting you, just what we needed this weekend. Would love any images you have of the massages so we can continue to give to each other. I already tried the downward dog massage again! Sending you an image with our vision board." Hi Cindy, We've been meaning to give you an update of our beautiful baby boy! We give him a baby massage every night and it makes me think of or amazing babymoon thanks to you! We always recommend you to our pregnant friends We can't wait to have a second so we can come back. Thank you for all your generosity!" "My husband and I had a great experience with Cindy! She is passionate, dedicated and will do everything she can for you to have the perfect weekend." 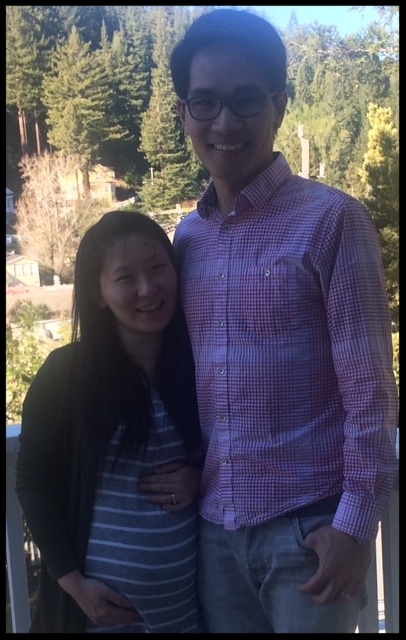 "My wife and I had a wonderful experience of Cindy’s classic baby moon package today. She is extremely knowledgeable, warm and a pleasant personality. She is very informative and her everyday relaxation techniques seem simple yet extremely effective. My wife got the best prenatal massage and would highly recommend it to any couple who is looking to relax, ease out their stress and recharge themselves as they return back to their day-to-day life. Thank you Cindy!" "Thanks Cindy for everything. We had a great time and Rosetta mentioned that it was the best massage she had in the past years. :) I am glad I approached you for our Babymoon. I found that the massage and meditation session on the second day was the most memorable as that was a first to us. The massages that we learned from you were super helpful and they are being used almost daily now as Rosetta is approaching the final month. I am glad to hear that you are expanding your magical work to help creating and maintaining an abundant family life for others". "Hey Cindy, It was definitely a great GREAT experience. We are still doing the massages you taught us! And now that everything is getting close, I believe everything happens for a reason. Thank you for everything!" "My husband and I booked Mellow Mommy for a private babymoon two weekends ago. It was wonderful. Extremely relaxing! The hotel was private and gorgeous and Cindy helped us relax easily by showing us tips for connecting with each other. We both received excellent massages from her the next day. Her openness and generosity made it a weekend to remember. Mellow Mommy babymoon was a wonderful experience and is highly recommended!"